Jackpot Knights Casino is no longer available . Click here for alternative casinos . Conjuring up images of the Knights of The Round Table, riding towards you bearing pots flowing with golden coins, Jackpot Knights Casino brings a medieval twist to the world of the online casino. This casino promises to make you feel like a nobleman, so saddle up that horse, stop being a foot soldier and read on to see that the Jackpot Knights Casino review is not just a fantastical figment of your imagination! They already have knights of seven different languages available to help you play Jackpot Knights Casino in, and are in the process of adding seven more! They are fully licensed in Curacao and operated by MYEG B.V in the Netherlands Antiles. Jackpot Knights Casino is aiming to become a real player in the online gaming industry, lining up the best software and games the business has to offer, with classy customer support to boot. I suspect they are succeeding nicely from my experiences with them so far. It is not possible to download Jackpot Knights Casino; all their Microgaming games are available in instant play straight in your browser. A little birdie, fully armoured up tells me they will soon be a Netent powered casino, so there will be plenty of choice. At the moment, you can still enjoy the Oryx Gaming Network Microgaming games. 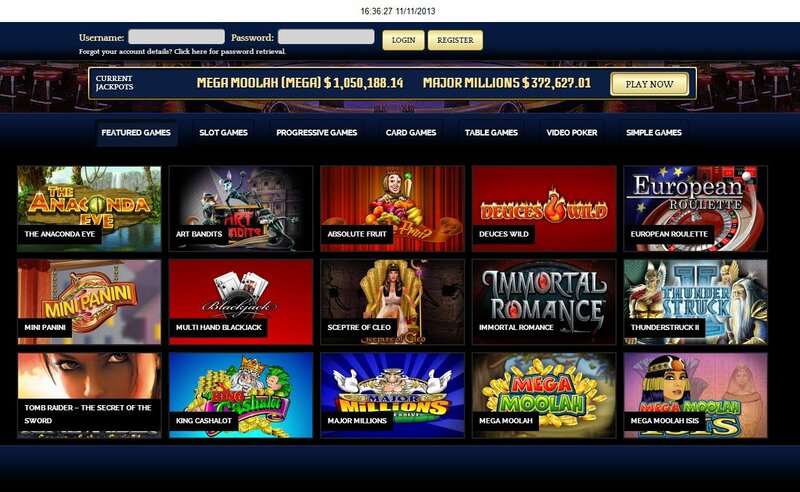 There's a real Jackpot Knights Casino progressive jackpot up for grabs with Mega Moolah slot and Jackpot Diamonds slot both available to play, not to mention that Immortal Romance slot too, amongst their 90 current games. As always with a Microgaming casino, the audio and graphics and top notch, and all the table games a player could need are available to play. 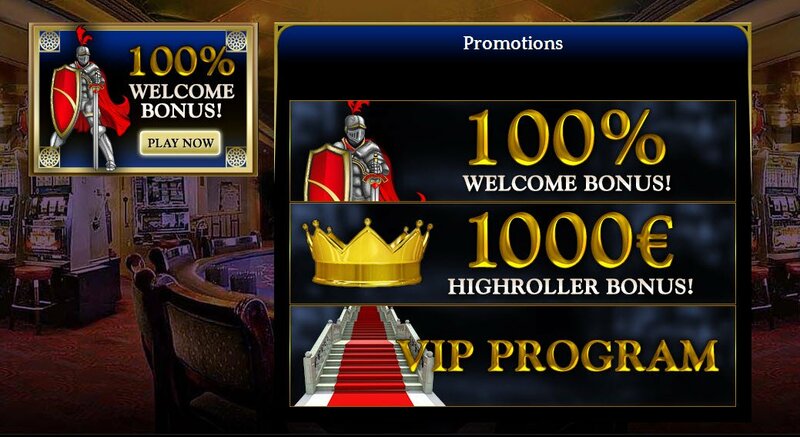 Deposit €10 or more and get a 100% bonus, up to €100, and there's a completely free €10 for your wagering so you can test out the casino and see it at its shining armoured best. There is a refer a friend bonus of €25, so make sure to gather your fellow round table dwellers for a game or two! If you are a high roller then you can have your €500 or €1000 deposits matched exactly, and receive higher game limits so you can bet bigger and better. There's a Jackpot Knights Casino VIP programme to make you feel like absolute royalty, with exclusive treatment and your very own team of Knights to help you enjoy special benefits. Banking is simple, with a committed, loyal and professional team of staff to assist you with any issues. Payment methods include MasterCard, Visa, Visa Electron, WebMoney, Neteller, Paysafecard, Skrill, Giropay, Sofort, Wire Transfer and Cheque. Jackpot Knights Casino offers a customer support team with years of online gaming industry experience and self-professed world class standard customer service. You can contact them for a speedy answer or swift help 24/7 via live chat, telephone, email or fax. Yes, I know - there are still people who use fax! What’s the best jackpot game at this casino?